My first published cookbook. This book is near & dear to my heart. A collection of tried and true gluten-free slow cooker recipes to please even your pickiest eater! 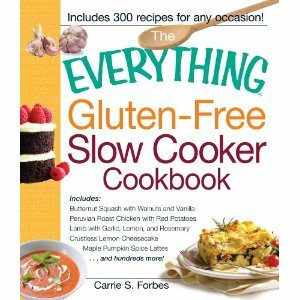 This book not only contains over 300 delicious recipes, but contains a chapter briefly explaining Celiac disease and gluten sensitivity, how to create a gluten-free pantry, how to shop gluten-free, etc... You will also learn about the differences between modern slow cookers of today vs. those of your grandmother and how you can use them to make easy, healthy, and naturally gluten-free meals for your whole family! The book contains 300+ gluten-free recipes and nearly EVERY recipe can be adapted to be casein/dairy-free as well if it's not already listed as dairy-free! All, but a very few were tested using dairy-free ingredients such as almond milk and daiya cheese (even if it's not listed as such!) so rest assured this book super helpful for those with multiple food allergies and intolerances! The book contains about 40% "whole foods" recipes -- meaning over 125+ recipes in the book are for naturally gluten-free foods like fresh vegetables, meat, chicken, eggs, rice, potatoes, etc... all things are generally frugal options in the grocery store and make very healthy meals!! There are GLUTEN-FREE, DAIRY-FREE BAKED GOODS included in this book! YES! You can make homemade gluten-free BREAD AND CAKE in your slow cooker! The book contains chapters for kid-friendly foods AND recipes that use 5 Ingredients or Less (not including salt/pepper/water, etc...)... super easy, kid-approved meals for every day of the week! 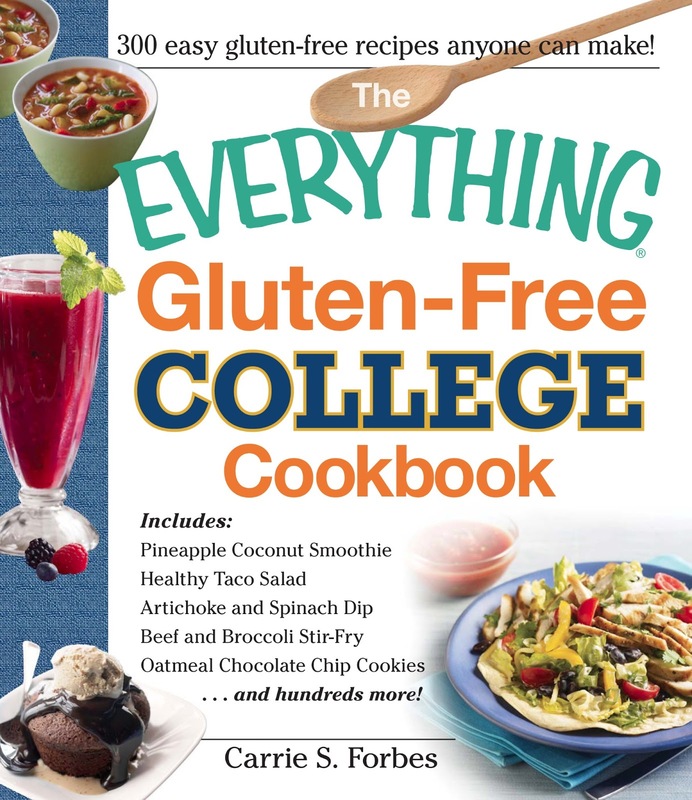 This book has been especially designed for gluten-free college kids, but also those new to cooking gluten-free, and for busy folks everywhere. Over 300 EASY AND DELICIOUS gluten-free recipes that ANYONE can make, especially beginner cooks! An entire chapter on meals you can make in your microwave! Recipes for easy breakfasts, lunches, parties, study snacks, and special chapters on fast and quick main dishes and gluten-free pasta meals. 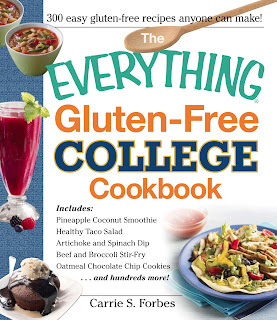 An entire chapter on gluten-free vegetarian and vegan recipes! Dairy-free substitutes are listed throughout the book for those with dairy or casein sensitivities.